Bushey and Oxhey Football Club are an FA Charter Standard Club, members of the West Herts League and affiliated to the Hertfordshire Football Association. We are a club with a strong set of values and principles, with a philosophy and ethos that is focused on long term player development and inclusion. We are a non-profit making organisation dedicated to promoting and enhancing the culture of youth football and sports education in our local community – operated by dedicated parents and FA qualified coaches. We have big ambitions – a vision to become the best place to learn how to play football outside of the professional club academies. As a result our standards are very high, providing the very best playing and training facilities in Hertfordshire, training kit, playing kit and jackets – to emphasise professionalism – as well as continual investment in equipment and coach education. We firmly believe we offer the best football experience in the county and certainly have not seen a club in our area who can rival what we can offer. Being a Bushey & Oxhey FC player means more than just playing matches. We have a thriving social set up hosting a Christmas party for our younger players, an end of season Presentation evening, a Summer Ball as well as other ad hoc events throughout the year. As a Club, we also actively participate in local charity fundraising events. We recognise that some of our players may prefer a coaching pathway rather than a playing pathway in the future, so we provide the opportunity for players aged 12 and above to secure the FA Junior Sports Leader qualification at the club. Players aged 16 years plus also have the opportunity to take the FA Level 1 coaching qualification, fully funded by the club, and subsequent opportunities to help coach our younger teams. All our managers and coaches are DBS (criminal records) checked and hold FA coaching qualifications, as well as certified Safeguarding Children and Emergency First Aid certificates. The club also employs FA licensed coaches to compliment our coaching staff, ultimately delivering a great coaching syllabus designed to develop the player. Team training for our younger players takes place on Saturday mornings at the Bushey Sports Club, Aldenham Road, Bushey. 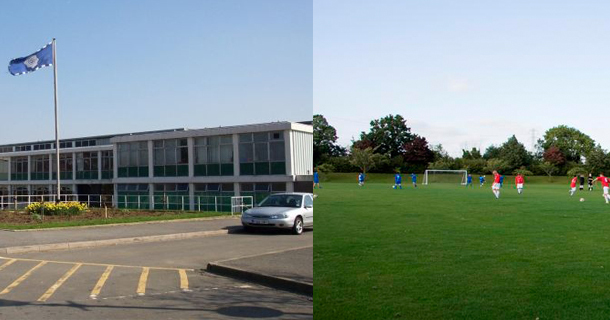 Team training for those sides at secondary school usually take place on weekday evenings but may also be on Saturday mornings. These are engaging sessions held by our FA qualified coaches. We are extremely grateful to our sponsors – JPMoran, who sponsor all out training kits; plus Soil and Water, Swiftline Building Services Group, ETA Projects and Northdell. Their generosity helps provide new kit and equipment for the kids and keeps the subs down so it is affordable to all. We are very proud that such prominent local organisations support our club and look forward to mutually beneficial long term relationships. Swiftline Building Services Group will sponsor our Stags team for 2017/18 and 2018/19! Bushey & Oxhey Football Club are FA Charter Standard Club of the Year 2014, based at the Bushey Sports Club, Aldenham Road, Bushey, Hertfordshire. We provide football for over 300 children aged from 5 to 16 through our membership of the Watford Friendly League, the West Herts League and our successful u6 Soccer School, delivering probably the best football experience in Hertfordshire. Copyright © 2019 Bushey and Oxhey FC All Rights Reserved.